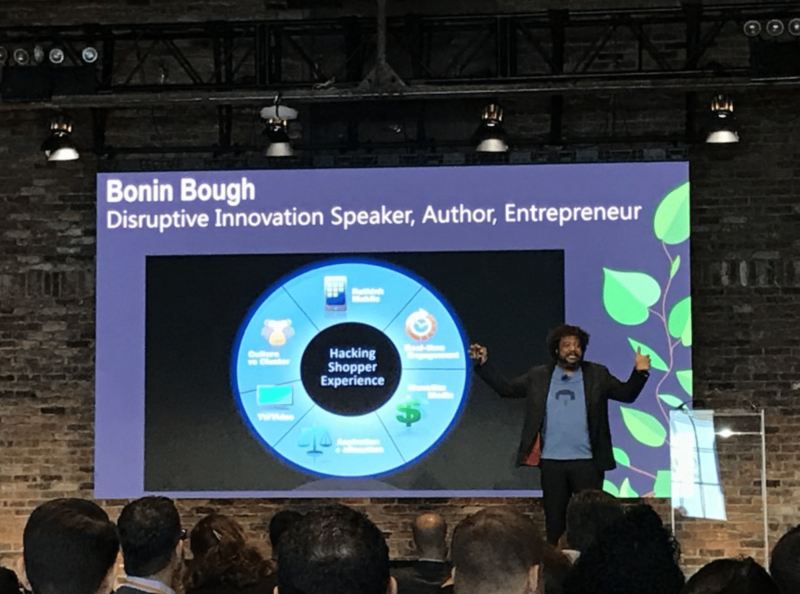 In this week’s podcast, we’re chatting with the incomparable Bonin Bough. Bough is one of the foremost-awarded marketing executives in his field, the host of The Cleveland Hustles, and the author of Txt Me (646) 759-1837. Throughout his career as one of the youngest C-suite executives in a Fortune 50 company, he’s spearheaded some of the industry’s largest global marketing campaigns across digital, mobile, television, print, and experiential, including the premier of the first ever 3D-printed food product, the customizable Oreo at South by Southwest. As the Chief Media and eCommerce Officer at Mondelēz International (formerly Kraft Foods) for four years, Bough created some of the first marketing programs across Facebook, Twitter, YouTube, Paramount Films, ABC, NBC, and Fox, and fostered partnerships with (then emerging) startups Instagram, Foursquare, and Buzzfeed. Before Mondelēz International, Bough led digital marketing globally for PepsiCo. Over the course of his career, he’s helped reinvigorate traditional marketing by deploying innovative tech across campaigns for Oreo, Honey Maid, Pepsi, Gatorade, and countless other billion dollar brands. In our interview, we discuss the challenges in building loyalty with today’s promiscuous consumers, why brands should look for ways to maximize consumer data, what Gen Z really values, why direct-to-consumer brands are winning market share, and more. Bough speaks about how many types of brand storytelling can win, but it’s important to do it well: “Storytelling — super important. Mission-driven brands happen to have a much deeper richer story, as long as it’s authentic. At the end of the day, it really just matters: Can you create something that connects with the consumer, either on an emotional level, on a mission level, on just a ‘hey it’s what I need’”. For the full interview, listen to the podcast below. Check out more of AdTalk here.